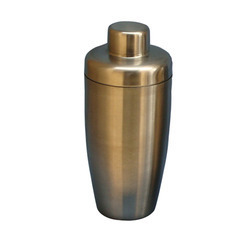 Offering our clients a wide range of stainless steel cocktail shakers , Our company has all the modern machinery that is required for manufacturing high quality stainless steel products. From our wide consignment, we are affianced in offering to our patrons an optimum class variety of Cocktail Shaker. Keeping in mind the diverse requirements of our clients, we are engaged in providing wide range of Stainless Steel Cocktail Shaker. 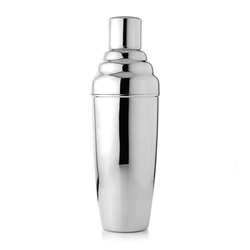 Bullet shape cocktail shaker is our amazing offering of stainless steel bar accessories. These cocktail shakers are crafted with perfection. - Made of steel, brass and aluminum.